On 25 March 2017, divine services were celebrated at the Church of the Epiphany in the village of Naccache with the blessing of Metropolitan George of Mount Lebanon, Patriarchate of Antioch. Attending this parish are some 700 Orthodox Arab-speaking families living in the villages of Naccache, Dbaye and Awkar. Matins and Divine Liturgy were celebrated by hegumen Arseny (Sokolov), representative of the Patriarch of Moscow and All Russia to the Patriarch of Antioch and All the East and parish pastor, Rev. Father Symeon Abouhaidar. Prayers were said and hymns were sung in the Arabic and Church Slavonic languages. 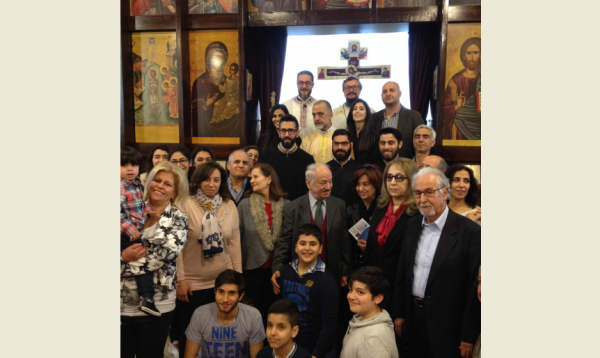 Singers and parishioners of the Beirut representation of the Moscow Patriarchate attended as guests of the parish. Repast was offered after the Divine Liturgy, website of the representation reports.